With LABhelp Membership companies can rest assured they have access to experienced analysts whenever they need them. Advice on new methods and equipment – fit for purpose? Regardless of location one of our LABhelp advisors will spend a full day at your site to cover any topics of your choosing. All you pay for are travel and subsistence costs as incurred. Collated from a variety of sources to save you time, LABhelp will keep you informed when new Standard methods & publications are issued. This will enable labs to review these publications and implement any changes as necessary. LABhelp can provide advice on how to implement any changes or conduct validation if necessary as an additional service. 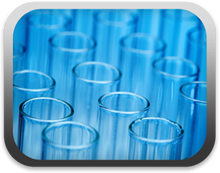 As a member you will benefit from a 10% discount on any other services offered by LABhelp.